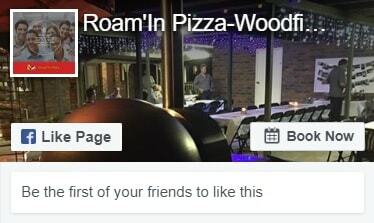 Roam’In Pizza is a well established mobile wood fired pizza catering business that offers its Brisbane customers traditional Italian fare, a change from the common ‘spit roast’ or ‘home catering’. We are Brisbane’s most well respected and requested mobile pizza catering service, and for good reason. 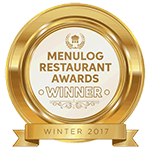 With extensive pizza catering experience in everything from home parties to corporate functions, we know what is needed to make your next event a success. We have a number of different options suitable for events such as home parties, corporate catering, events, sports days, team building exercises, weddings, fetes and festivals, junior chef parties, markets and many, many more. For home parties, nothing will go down better than pizza. Let’s face it everyone love pizza, so you can be sure that all your guests will be satisfied. When you enlist our help, a chef arrives at your door and sets up an all you can eat feast with a great selection pizza you have chosen from the menu. Everything is included in a set dollar per head price, so you’re not getting charged any little extras. We do all the setup, cooking and cleaning and even take away the rubbish. Be sure to keep an eye out at your local market or fete, as we attend them regularly! Many businesses outside the city now like to have food trucks/Vans attend their workplace for lunch for something different to enable there staff to have more variety for lunch, Roam’In Pizza is now able to offer this service as an option. If you are wanting Pizza then we are your pizza catering specialist. Our aim has always been to provide the best pizza catering service in Brisbane. We have been at the forefront of this industry and have laid the groundwork that many others have followed. Our team are always looking at ways we can do things better, ultimately with the customer in mind.